Valuation and identification of antique British clocks by Brian Loomes; buying and selling antique British clocks on commission. WE SPECIALISE IN LANTERN CLOCKS OF A SERIOUS AGE AND INTERESTING NATURE. EACH IS PICTURED ON OUR 'FOR SALE' PAGES. Want to know about YOUR clock? We offer valuation and identification services. 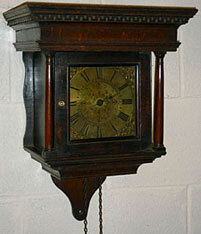 Have a look at our section on Finding out about your antique clock and drop us an email enquiry. Through our own original researches in ancient records into the life and work of former clockmakers we have compiled thirty reference books and hundreds of articles about antique British clocks and their makers. These books include the massive, (500+-page 1100+-photograph) title 'Lantern Clocks', published in 2008, the only book on this subject in print today. Our researches into the background history and styles of British clocks have revolutionised understanding of the subject and of the makers themselves. Several of our books have become definitive texts and are used as standard reference books by museums, libraries, auction houses and collectors the world over. So much so that even many of the terms today in general use to describe certain types of clock features were first coined in these books. 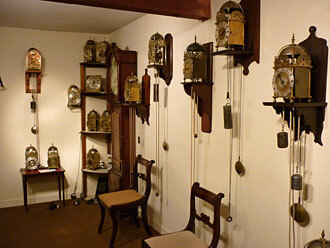 Brian Loomes is probably the best-known name worldwide in antique clocks and Britain's longest-established clock dealer, a name known by everyone connected with antique clocks. We have on this website almost 150 articles by Brian Loomes on clock collecting, clockmakers and clock care and identification, and a large archive of sold clocks. Want to know about YOUR clock? 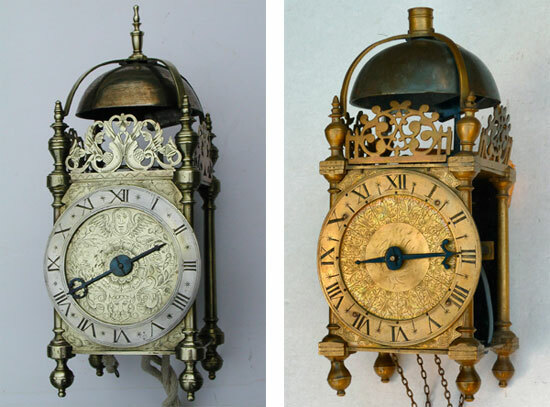 Have a look at our section on Finding out about your antique clock and drop us an email enquiry. If you wish to identify or value a British antique clock (English, Scottish, Welsh or Irish), or find out what is known about its maker, its style, its quality, whether a clock you already own in the family or one you are thinking of buying, whether a longcase clock (sometimes known as a grandfather clock or a tall clock), or a bracket clock, or a wall clock, or a lantern clock,........ we will be pleased to help you, but we do charge a professional fee for this service of £60.00. 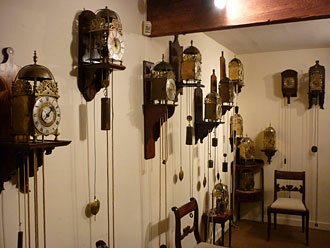 Have a look at our section on Finding out about your antique clock and drop us an enquiry. Winners of the 2001 BACA award for excellence under the category of specialist clock dealers. The British Antiques & Collectables Awards are presented annually in June by Eric Knowles on behalf of Miller's Guides in association with BBC Homes & Antiques Magazine. Judging is based on: 1. quality of service, 2. consistent quality of stock, 3. depth of knowledge. In 2008 Brian Loomes was awarded the very rare distinction of HONORARY FELLOW OF THE BRITISH HOROLOGICAL INSTITUTE (Hon. F. B. H. I.) for his contribution to the advancement of horological knowledge through his writings over the last forty years. Such an award has rarely been made before.